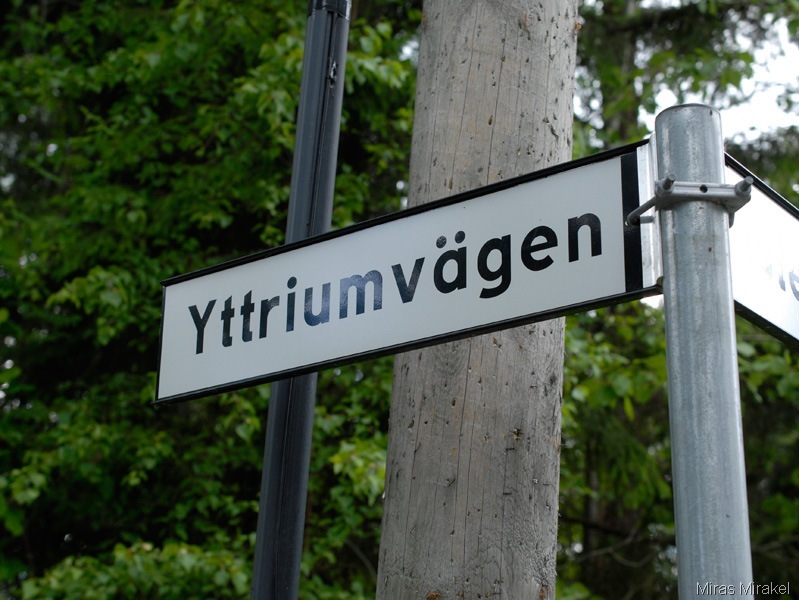 ESPOO, Finland, 14th February 2019 (LINK) – Picosun Group, a leading supplier of ALD (Atomic Layer Deposition) thin film coating solutions for global industries, reports unprecedented results in high reliability electronics protection with ALD. Hermetic encapsulation by ALD nanolaminates developed by Picosun has been proven to block tin whisker formation on PCB (printed circuit board) assemblies completely(*). During the observation period of over one month to three years, ALD-protected samples showed no tin whisker growth at all, whereas on non-protected samples tin whisker density of over 1000 pcs/cm2 was measured. In addition to blocking tin whiskering, Picosun’s ALD nanolaminates help to protect the PCBAs against other key degradation phenomena such as various forms of corrosion and oxidation. Hermetic ALD coating works efficiently even against moisture and gaseous sulfur in polluted atmosphere. Due to its nanometer-scale thickness, the ALD film has no effect on the PCBA functionality, mass or dimensions and it allows reworking of the PCBA. Tin whisker formation and corrosion are particularly fatal in several high reliability electronics applications such as data centers, space, aviation, military, medical and industrial control systems. 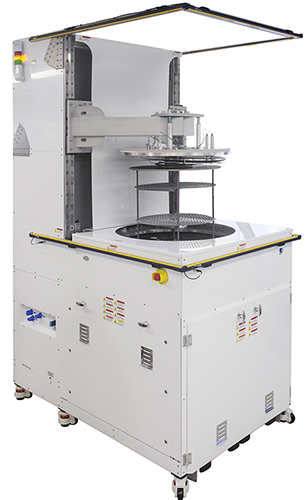 Picosun’s revolutionary ALD encapsulation method offers now safety improvement, product lifetime lengthening, and even long-term cost savings to these manufacturers. Fast, cost-efficient processing of large amounts of PCBAs can be realized in PICOSUN™ P-1000 and P-300B high volume batch ALD systems with production-proven, industry-optimized processes. “We are happy to announce these groundbreaking results obtained with our ALD encapsulants in protection of specialty electronics. This is a new, potentially huge market for ALD. There has already been lots of interest towards our turn-key coating solutions for large scale PCBA protection from the corresponding industries. This shows again the versatility of ALD and its power to disrupt near all fields of today’s industrial manufacturing”, says Dr. Jani Kivioja, CTO of Picosun Group. Strem Chemicals, Inc. manufactures and markets specialty chemicals of high purity. 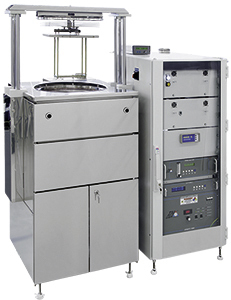 Their products are used for research and development, as well as commercial scale applications, especially in the pharmaceutical, microelectronic and chemical/petrochemical industries. The standard and absolutely safest way to transport and deliver highly reactive ALD & CVD precursors is in stainless steel ampoules. These are often referred to as bubblers since in many cases they are fitted with a dip tube on the inlet allowing efficient vapor delivery by an inert carrier gas like N2, He or Ar. These bubblers are readily fitted with seal tight valves and VCR vacuum fittings for easy and safe installation directly on the ALD/CVD tool gas box by a qualified person. 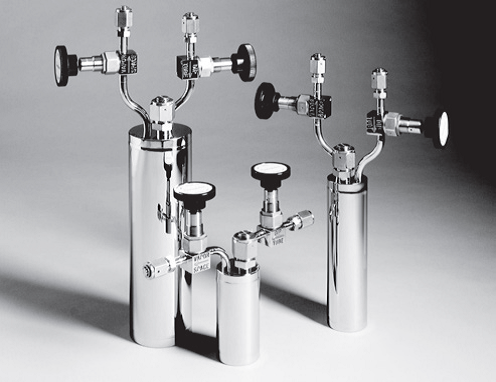 In addition to their 450+ precursors, Strem Chemicals offer a variety of electropolished stainless steel bubblers at capacities ranging from 150ml to 3000ml. These bubblers are available in horizontal-in-line and vertical configurations. While standard bubblers are equipped with diaphragm valves rated to 121°C (PCTFE stem tips), Strem also supplies bubblers with high temperature bellows valves rated to 315°C. DOT and UN approved configurations are available. Above, are small sized vapor draw ampoules for research amounts of precursors. The sleek design affords a very compact precursor delivery system. 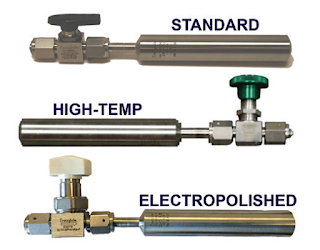 Strem Chemicals allows you to match a bubbler to your current ALD or CVD tool gas box. 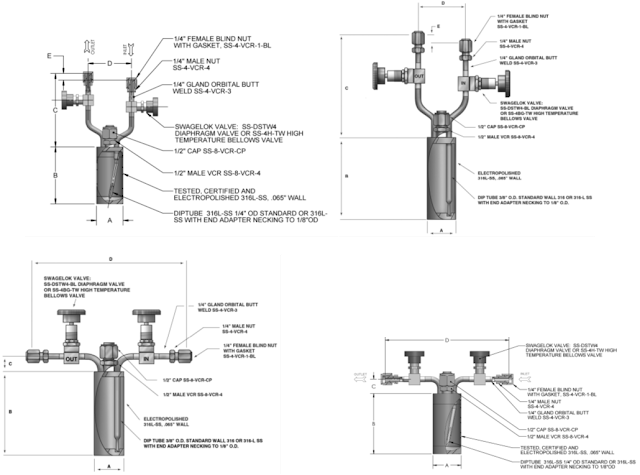 The bubbler can be specified using a vast range of types, dimensions and valve configurations. Depending on the precursor to be supplied the valves, materials and dip tube configuration can be optimized for the most efficient precursor delivery even at elevated temperatures (up to 315 °C). Strem offers four of the most popular bubbler designs, and can be made to fit inside most of the ALD/CVD tools on the market today as well many custom build systems. Once you decide your preference of bubbler, you will need to measure the critical dimensions (A to E), such as volume, temperature operation and dip tube configuration. Then you´re ready to order the ideal bubbler filled with your desired precursor. By following the guide you can be sure that the bubbler will fit like a glove into your precursor cabinet! Example of a bubbler configuration sheet for a stainless steel bubbler fitted with high temperature valves.